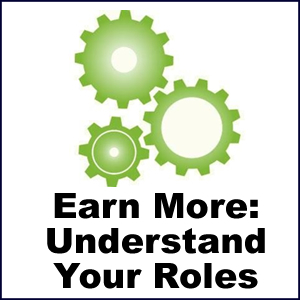 Earn a higher salary by understanding the systems around you in your work environment. Understanding these systems means you know where you fit in the machine that makes up your company. Understanding where you fir tin the machine enables you to participate more effectively in teams. You know which people are key people connected to you and your job in the company. Knowing which people are key people means you can communicate with these people effectively and keep them informed about the work you are doing. This in turn keeps you on the career growth fast track because you make yourself an invaluable asset. This also means you do more and more of the work you enjoy doing, the work you are good at because your team and managers know what kind of work to pass on to you.